People have such short memories. Even though we are repeating so many of the same patterns that we witnessed in 2000-2001 and 2007-2008, most people do not think that another financial crash is coming. In fact, with the stock market setting record high after record high lately, I have been taking quite a bit of criticism for my relentless warnings about the coming financial storm. Many of the comments go something like this: “Snyder you are a moron! Nothing you say ever comes true. The stock market is going to keep on rocking and Obama is going to lead this country back to greatness. I hope that you choke on all of your doom and gloom.” Of course these critics never offer any hard evidence that I have been wrong about anything. They just assume that since the stock market has soared to unprecedented heights that all of us “bears” must have been wrong. But the truth is that what we are observing right now is classic bubble behavior. The stock market crashes of 1929, 1987 and 2008 were all preceded by irrational market rallies in the spring or summer. The financial markets have become completely divorced from economic reality, and such a state of affairs never lasts forever. It is just a matter of time before a correction comes. 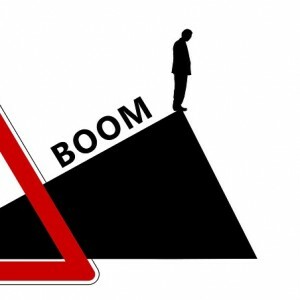 This post was published at The Economic Collapse Blog on September 4th, 2014. Frankfurt (Sept 4) The European Central Bank unexpectedly cut its benchmark interest rate by 10 basis points to a record 0.05 percent to boost the region’s economy. The central bank will also start buying assets, easing the flow of funding for the region’s economy while holding back for now on larger-scale action. The ECB ‘will purchase a broad portfolio of simple and transparent securities,’ president Mario Draghi said at a press conference in Frankfurt. While the measures announced will have a ‘sizable’ impact on the balance sheet, ‘some of our council were in favour of doing more than presented,’ he said. The euro dropped below $US1.30 for the first time since July 2013. In committing cash to the market for asset-backed securities, Draghi is making good on his pledge to help rekindle an asset class that can funnel loans to the real economy and ease funding conditions for banks. While the size of the plan wasn’t given, it probably doesn’t represent the kind of quantitative easing that could directly fend off the threat of deflation. Euro-area inflation languished at 0.3 per cent last month, far below the ECB’s 2 per cent target. The ECB downgraded its forecasts for growth and inflation from its previous assessment in June. This post was published at Gold-Eagle on Sept 4, 2014. In a recent article on LRC, tax specialist and Forbes columnist Robert Wood shared a letter that one of his clients, Marilyn, had sent to President Obama about the travails of being a US Citizen who lives outside of the good ol USA. In order to explain more fully what is going on with offshore citizens, I’ve taken the liberty of writing a response from President Obama. I’m in the same boat as Marilyn and have suffered from the same outrageously punitive and discriminatory rules that she has. My staff mentioned that we received your letter and that you were considering ending your status as US citizen because of my rules on reporting foreign financial accounts and treatment of foreign mutual funds. I know there’s lot’s of folks just like you who live offshore, so we’ve come up with some responses to your concerns. Yes, my FBAR form has draconian penalties if you don’t fill out the paperwork for all of your financial accounts correctly [rubs palms together]. To make things easier on you, I’ve instructed the IRS to institute a voluntary disclosure program for people who don’t fill out the paperwork correctly. You tell us everything and we’ll consider only taking half instead of all of the account balance and we’ll even consider waiving the 5 year jail sentence in most cases. According to a precise reading of the rules, we could fine you far more than the account balance, so be thankful. This post was published at Lew Rockwell on September 4, 2014. On Monday, France borrowed at a negative rate, which means investors are losing money… they’re paying to deposit their money! Even though this is for short-term loans (3, 6 and 12 months, for a total of 8.2 billion euros) at rates slightly below zero (-0.002% to -0.004%), this hadn’t occurred since May of 2013. At the same time, Germany also borrowed at negative rates, while its economic situation is quite different than France’s: Germany experienced a budget surplus in the last quarter, whereas France couldn’t even manage to keep its deficit at 3% of GDP; unemployment in France is double that of Germany; Germany’s commercial balance had a 200-billion euro surplus, whereas France’s had a 60-billion euro deficit. And this list could go on and on (businesses profitability, percentage of exporting small companies, level of investment, quality of professional formation, etc.). How can two countries with so little in common borrow with the same ease on the international markets? This post was published at Gold Broker on Sept 5, 2014. If you’re looking around right now for a new bank account that pays a reasonable rate of return, ANZ bank has a hell of a deal for you: 0%! That’s right. ANZ is offering its depositors absolutely zero interest. Now, a bank paying 0% isn’t exactly abnormal in today’s banking environment. But what’s really strange is that ANZ actually took out an ad in an Australian newspaper to advertise this. Yesterday’s page 10 of the Australian Financial Review (AFR) had a quarter-page ad from ANZ boasting about 0% interest rates for accounts denominated in number of foreign currencies, including Hong Kong dollars, Japanese yen, British pounds, and more. Curiously, in order to qualify for this bargain 0% rate, you have to meet a rathersignificant deposit minimum. For the 0% Japanese yen account, for example, you have to deposit 23.5 million yen (currently about $223,000 US dollars). So basically some manager at ANZ actually thought that paying 0% interest on substantial account minimums would be an attractive offer…so attractive, in fact, that they should brag about it in the newspaper. This is so completely ridiculous. But it really crystalizes what’s wrong with the entire financial system. This post was published at Sovereign Man on September 4, 2014. 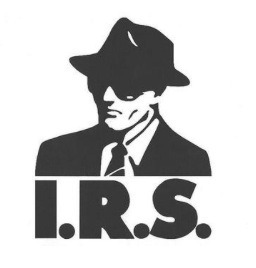 The IRS. There are few agencies more hated, corrupt, and degraded in the entire nation, and that’s saying a lot. Unless you have been living under a rock for the past couple of years, you are well aware of the fact that the IRS was caught consistently abusing its extraordinary power in order to selectively target groups with which leadership disagreed with politically. We also know that the IRS, and its former director of the Exempt Organizations Unit, Lois Lerner, subsequently destroyed evidence of misconduct by claiming emails had been lost and are unrecoverable, in a ludicrous series of purported events. This post was published at Liberty Blitzkrieg on Sep 4, 2014. There is an interesting divergence going on between sentiment based surveys, specifically the ISM Manufacturing and Non-Manufacturing surveys, and actual underlying economic data. This week saw both surveys rise sharply to cyclically high levels despite weakness in actual new orders and consumer consumption. It is also somewhat intriguing that two groups measuring the same data are getting vastly different results. While the Institute of Supply Management survey saw sharp increases in optimism, Markit’s surveys of the same manufacturing and services related data saw declines. This is one of those cases where only one can be right. The chart below shows the composite index of the ISM surveys (simple average of manufacturing and services data). There is a running pattern in the surveys which the initial decline mid-economic cycle reverses back up to cycle peaks. The next decline in sentiment is during the latter stage of the economic cycle prior to the onset of the ultimate recession. The recent surge in survey activity, ex-underlying strength in the actual data, suggests that sentiment is anticipating a recovery that may or may not occur. This post was published at StreetTalkLive on 04 September 2014. Back in 2009 we first warned that the market is now just a “market” where between the direct manipulation of all asset-prices by the firehose Fed and its peers, and the explicit rigging of stock prices by the HFTs, there is no such thing as a market left. Back then, we were called tinfoil something or another. Now that everyone admits the Fed’s only purpose is to push asset prices higher, and the topic of HFT’s rigging of markets is now a blockbuster book, those accusations have grown silent. In fact, the only thing that remains are the very loud screams as increasingly more often, some unknown or well-known trader and/or investor, with a several year delay, stumbles on our conclusion and realizes that the game (i.e., market) is so rigged, manipulated and broken, that the only winning move was not to play in the first place. Today’s case in point Andrew Cunagin, the founder of Rinehart Capital Partners LLC, a hedge fund backed by hedge-fund veteran Lee Ainslie and specialized in emerging-markets stock-picking, and who as the Wall Street Journal reported earlier, is closing. The closure is not news: what Cunagin blames the closure on, however, is. This post was published at Zero Hedge on 09/04/2014. Context is king. Week-in, week-out, we are reassured by whoever the next talking-head is that the recovery-meme is alive-and-well (despite consensus GDP expectations continued to slide for 2014), and that housing is back. The fact that mortage applications inched 0.2% higher on the week (as mortgage rates briefly dropped below 4% for a day – back at 4.20% now) is extrapolated into full recovery when the following chart perhaps provides a little clearer picture of just what has happened in this ‘recovery’. “Get up! Get down! Fast-food workers run this town!” were the chants from fast-food workers in over 100 cities across America today, as empowered by President Obama’s explanation of ‘fairness’, they demanded a $15-per-hour minimum wage amid strikes, rallies, and acts of civil disobedience. Stocks had a wide ranging day as traders pushed the money around the plate ahead of the Non-Farm Payrolls Report. We have the makings of a rounding top in stocks, but these are very thing markets so caution is advised until the trend is set. And so we await that news tomorrow. The complacency, created by the policy errors of the Fed, is so thick that if we were to receive an announcement of the end of days, I suspect that the biggest clicks would be on ‘The Best Stocks to Own for Armageddon.’There must be a God. Otherwise people would have no one who loved them. This post was published at Jesses Crossroads Cafe on 04 SEPTEMBER 2014. This is an excerpt from the daily StockCharts.com newsletter to premium subscribers, which offers daily a detailed market analysis (recommended service). Most of the time gold and the dollar move in opposite directions. However, in the last few weeks the dollar has been rising sharply and gold has really been moving sideways. Now our inverted dollar diffusion indicator is deeply oversold and that may provide the price of the yellow metal with an escape hatch as the dollar corrects. However, the GLD really needs to break and hold decisively above the upper area of the trading range at $130 if it is to trigger some primary bull market signals. This post was published at GoldSilverWorlds on September 4, 2014. Throughout history, there have been a constant flow of schemes to try to manipulate the gold price and gold itself in terms of paper money. These have come from governments, institutions as well as from individuals. The aim has always been to either establish the value of currencies or enhance that value in terms of gold. The first key to this is to ensure that the gold price is made in the paper currency and not the price of the paper currency in gold. At school you probably read the book called the Alchemist, where villains tried to invent formulae where they could transform lead to gold. While what they managed to do was a good confidence trick, they could not replicate gold. Today the process continues, but now the boldness of government has gone as far as to say that paper money is better than gold in terms of its value. But gold is gold and for the prudent and those wanting to preserve their wealth over the long term, nothing can replace it. Experiments using fiat currencies have been carried out since the days of distant Chinese dynasties in attempts to emulate or replace the real money of gold. The reason is simple and explained in a quote I borrow from Mr. Popescu, ‘Aristotle, the Greek philosopher, student of Plato and teacher of Alexander the Great, was mentioning fiat money 2,400 years ago when he said, ‘In effect, there is nothing inherently wrong with fiat money, provided we get perfect authority and godlike intelligence for kings.’ But we can’t, which is why in history, there has never been a ‘money’ that can retain its value or replace gold as real money, in all seasons weathered by economies. 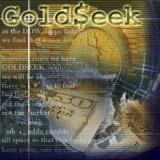 This post was published at GoldSeek on 4 September 2014. New ECB actions were specifically intended to reap benefits through Euro currency devaluation. To achieve this aim, Draghi announced cuts in interest rates as well as administering Euro ‘printing’ through balance sheet expansion (1,000bln or so). The ECB has had recent success as the EUR/USD dropped over 1.5% today and has fallen 5% since July. A weaker currency is desirable during periods of recessions and subdued inflation. Doing so, however, is not always seamless or the most ideal policy. Many global central banks, for instance, needed to follow the Fed’s lead in cutting rates after the 2008 crisis or risked having an undesirable appreciation of their home currency. Tensions can periodically arise, because two countries cannot become ‘more competitive’ at the same time (‘a race to the bottom’). 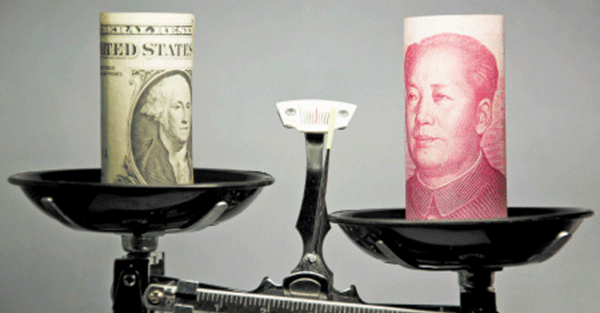 Clearly, a weaker currency in one country means a stronger currency in another. There are times, however, when currency movements are mutually beneficial. Against the USD, Draghi is maximizing his efforts to weaken the Euro by trying to utilize ideal timing; expanding the ECB balance sheet at precisely the same time that the Fed’s is flat lining. The widening of interest rate differentials also helps. The FOMC likely welcomes today’s actions. Ideally, Draghi would have also wanted a Quid Quo Pro with Italy and France regarding economic reform; this sounds good in theory, but it is not how politics work. Despite Draghi’s vacant pleas for fiscal ‘arrows’, he had to ‘do his part’, particularly after backing himself into a corner after his Jackson Hole speech. Nonetheless, ECB actions surpassed expectations today. However, this probably means that the bazooka of sovereign QE is off the table for a while. In its monthly industry release, The Silver Institute reported once again new applications of silver in products across several industries, in particular health. The Silver Institute has written extensively how silver has helped breakthrough improvements in product development and industries; read previous articles here, here, here, and here. 3-D printing – a process of making a three-dimensional object by adding successive layers of material under computer control – which can be accomplished using metals, plastics and composites, is now being used in the manufacture of many products in which silver is the main or a key component. These products range from circuit boards to jewelry to prosthetic devices. Two types of 3-D printing processes involve silver. One is the equivalent of casting silver into a 3-D printed mold such as those made of plaster- fortified wax. Casting silver in a preprinted mold is almost exactly the same as standard casting of silver. A wax or polymeric mold is made and treated with plaster. Silver is then poured into the plaster-lined mold. After cooling, the plaster mold is removed, leaving the silver object, which usually needs to be polished or sanded to remove rough areas. The main advantage of using 3-D printing to make molds is that it offers a greater range of design capabilities, especially in the manufacture of products incorporating delicate designs such as lacework. The Paradigm Shift has reached a higher gear. The danger and risk levels have gone to critical levels. The risk of economic destruction has gone into recognizable critical levels. The source of the problem has become more easily identified. The typical tactics not only do not work, but expose the bully, the warmonger, the hegemony advocate, the wizard of violence, the imposer of self-serving rules, the crime syndicate bosses, the masters of espionage, the man with killer drone toys. The USDollar is defended by war, market interference (see LIBOR, FOREX, debt ratings), accounting rules gimmicks, rigged detonation of banking systems, pointed assassinations for heads of state, even fabricated natural events (see HAARP in Philippines). The entire system is supported by Zero Interest Rate Policy (ZIRP) which distorts asset values and discourages savings. The misallocation of resources matches the wet blanket effect (see Money Velocity shutdown). The entire system is supported by Quantitative Easing (QE) which has monetized the USGovt bond market, the US property market, the US stock market, and soon possibly the US municipal bond market. The capital destruction is rampant, severe, and entering vicious feedback loops. The entire financial and economic system was held together in 2013 by cables and ropes in grand lashing style. The entire financial and economic system is now held together in 2014 by strings and howitzers, not to mention the endless sanctions and destructive rules, even punitive bank fines. The United States seeks to remain Lord of the Flies, its domain extended over a wrecked European continent. The main question is whether Europe will sign on to make a perverse corporatist trade union with a sinking millstone. The United States seeks to pursue the Western totalitarian state by means of pulling down the European Economy, from the broken system to emerge the reconstruction of oppressive fascism. A wrecked Western Economy is pre-requisite. 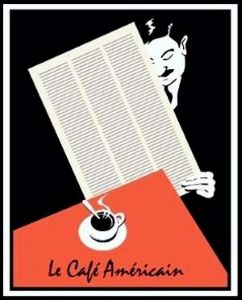 The small ray of light slips through, as the Fascist Business Model has a crack in it. Usually the big powerful corporations support the government fascist dictums. However, Exxon Mobil, Dutch Shell, British Petroleum, and Boeing stand in opposition to sanctions against Russia. The game is fast changing. The Emperor’s court is showing critical internal defections. The bigger ray of light comes from Germany, which shows important signs of refusal to permit its economic destruction in order to suit the elite plans of a grander fascist state. The Germans have suffered hyper inflation before, and will not again. The Germans have suffered a national calamity from an integrated fascist state, and will not again. It is becoming excruciatingly clear that the Global Axis of Fascism is the US, UK, and its leash holder in the SouthEast Mediterranean. The entire global system has reached the critical phase. The breakdown phase is accelerating. They did not disappoint me! Today, gold and silver were whacked again by our criminal bankers. We have no CFTC officials watching, so the bums are free to do whatever they want. It looks to me like tomorrow will also be a very bad day for stocks and metal as the bankers try and wash out many of the weaker longs. After that gold and silver should rise. This post was published at Harvey Organ on September 4, 2014. This post was written on July 14…nearly two months ago. I’m reposting it today for public distribution. I’m not doing this to pat myself on the back or to inspire new subscriptions. Instead, I offer this post as even further proof of the degree to which the paper metal “markets” are manipulated and controlled by the bullion banks, at the behest of the central banks. It also should give you optimism that this current beatdown scheme has nearly run its course. Monday, July 14, 2014 at 9:58 a.m. It took almost a month but, to no one’s surprise, The Cartel Banks have finally come after gold today. Apparently the weekly close above $1331 was too much for them to take, much like the $1380 close back on March 14. So, now what? How far will price fall before The Leg Hounds finish their business? If you’ve been around here for a while, you know about The Mississippi Leg Hounds. As Cousin Eddie says, “once they lay into ya, you’d best let ‘em finish their business.” As mentioned in Friday’s podcast, The Cartel Banks added over 100,000 contracts NET SHORT in just five weeks…all in a vain attempt to contain a measly 7% price rally. In just plain old, naked short, fresh paper, they added over 79,000 contracts or nearly 250 metric tonnes of paper metal! WHY?!? Because they had to contain the rally before the charts turned decidedly bullish….and if the charts turned bullish, investment demand would return…and if investment demand returns, from where will the gold come? This post was published at TF Metals Report on September 4, 2014. A new set of interesting conversations with David Cay Johnston about his work as an investigative reporter and writer on the Real News. This is what the one percent do not wish you to hear or understand. You will not hear this on any prime time news programs. Not even Public Broadcasting will touch this story. This is how easily the system is manipulated, by design, for those who have the money, means, and the connections. I think Johnston explains it much better than most. In the upcoming elections, and especially the Presidential elections of 2016, it is highly unlikely that either major party candidate will not be fully vetted and approved by the moneyed interests, no matter what theatrics are staged to portray them as ‘different.’ Try to listen to what Johnston says without knee jerk reactions from the slogans that have been inserted by endless repetition into your thinking by corporate news outlets and think tanks. Try to hear the facts as they are. The ‘deep state’ is at the heart of the partnership between private power and the government. Draghi did it (or didn’t), blame him… From record intraday highs (on vapid volume) to 5-day lows in the S&P 500 as Mario Draghi cut rates even negative-er and promised to do more QEing. EURUSD collapsed over 2 big figures to 14-month lows below 1.2950. The implicit USD strength sparked selling in everything else. Treasuries pushed notably higher in yield (30Y 13bps on the week, 5Y 8bps) and held their yield highs as stocks started to collapse after Europe closed. The standard late-day machine-driven VWAP ramp lifted stocks off the lows, but S&P 2,000 remained elusive. Gold, silver, and oil all pushed lower as USD jerked higher. High-yield spreads jumped most in 6 weeks to 3-week wides and provided a warning to stocks all day. Bottom line – USD up, everything else down… (except Trannies).